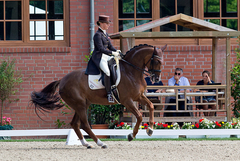 Blind Date won the Freestyle at Dressur Cappeln International which was held for the first time. She couldn't be beat with 77.95 percent. This was our second ever Freestyle and "Beate" borrowed Augustin OLD's old freestyle. Sie did a super job and presented herself well. 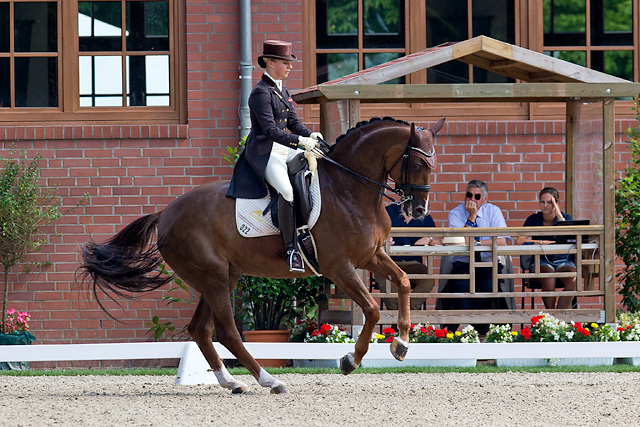 There were two slight misunderstanding though ... but I was able to repeat the flying change á tempi without error. I and very satisfied with Blind Date.